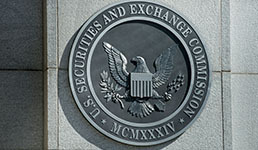 Financial Advisor IQ - Can the SEC Even Keep Up with the Firms It Regulates? The SEC’s current budget simply isn’t enough for the regulator to properly police Wall Street, Kurt Schacht writes in The Hill. The SEC’s budget for fiscal year 2019 is $1.6 billion. But just three of the thousands of firms under its purview — Morgan Stanley, JPMorgan Chase and Citigroup — spend $16 billion on technology and communications alone, according to Schacht, managing director of the advocacy division of the CFA Institute. And while the SEC’s budget has barely grown over the past few years, its responsibilities have expanded substantially, he writes. The Dodd-Frank Act added several new tasks to the SEC’s list of duties, including oversight of private equity fund advisors and security-based swaps, a new Bureau of Credit Ratings and a new whistleblower program, among others, according to Schacht. The SEC is also scheduled to boost its investment advisor exams by 2% — but the overall number of exams, which currently stands at 2,100, should be much higher, he writes. Broker-dealer exams are slated to decrease, meanwhile, according to Schacht. And challenges in the overall federal budget mean Congress is less likely to adequately fund the SEC in the future, he writes. Yet there is a clear example of the costs to society when the SEC’s capacity to police the financial system is outpaced by increased sophistication of the securities industry: the Great Recession, according to Schacht. With the current budget for the SEC, the regulator is “looking dangerously undernourished,” he writes. To read the The Hill article cited in this story, click here.